All inquiries are replied to as soon as possible, usually within a few hours. Please don’t hesitate to contact me via social media if you haven’t heard from me within 24 hours. Please use the following space to write anything you feel might be useful to us in some way. Or just use it to be silly. Or just leave it blank if you're feeling boring. Please read our ts + cs before sending us your details. ENTIRE AGREEMENT: This agreement contains the entire understanding between CHRIS BARBER PHOTOGRAPHY and THE CLIENT. It supersedes all prior and simultaneous agreements between the parties. It is mutually agreed that the following terms of agreement form an integral part of this contract and that no variation or modification of this contract shall be effective unless accepted by both CHRIS BARBER PHOTOGRAPHY and THE CLIENT, in writing. 1. INITIAL PAYMENT: Upon completion and sending the document, CHRIS BARBER PHOTOGRAPHY will reserve the time and date agreed upon, and will not make other reservations for that time and date. For this reason, an initial payment of £500 is non-refundable, even if the date is changed or the wedding cancelled for any reason; including acts of God, fire, strike and/or extreme weather. The initial payment is to be paid at time of signing the contract. The initial payment is applied towards the contracted wedding photography package. 2. BALANCE: THE CLIENT understands and agrees that the entire amount owed for the wedding photography package described in the contract is due eight weeks prior to the wedding date. Payment for albums or additional album photographs, prints & frames is made after the wedding at the time of ordering. 3a. CREATIVE LICENCE: CHRIS BARBER PHOTOGRAPHY shall be granted creative and artistic license in relation to the choice of locations and poses used. Judgement on photographic style and the number of photographs taken shall be deemed correct. Due to changes of the weather and the availability and willingness of subjects CHRIS BARBER PHOTOGRAPHY will do their best to honour requested photographs but do not undertake to guarantee any specific picture nor incorporate any specific background, location or group arrangement. On its own behalf, and on behalf of the subject, THE CLIENT acknowledges that they are familiar with CHRIS BARBER PHOTOGRAPHY’s portfolio and are requesting services with knowledge of CHRIS BARBER PHOTOGRAPHY's style; that CHRIS BARBER PHOTOGRAPHY's work is constantly evolving; that CHRIS BARBER PHOTOGRAPHY’s services are of unique and artistic nature; that the photos may be different from photographs taken by CHRIS BARBER PHOTOGRAPHY in the past; and that in creating the photos, CHRIS BARBER PHOTOGRAPHY shall use his personal artistic judgment to create images consistent with his personal vision of the event. 3b. EDITING: CHRIS BARBER PHOTOGRAPHY will provide a pleasing colour balance and enhance the images as he see's fit, but cannot guarantee exact colour matching. Owing to anomalous reflectance caused by a combination of certain dyes and materials, especially man made fibres, it is sometimes impossible to record on film/digital media the exact colour of materials as seen by the human eye. 3d. COOPERATION: The parties agree to positive cooperation and communication for the best possible result within the definition of this assignment. CHRIS BARBER PHOTOGRAPHY is not responsible for key individuals’ failure to be present or to cooperate during photography sessions, neither for missed images due to details not revealed to CHRIS BARBER PHOTOGRAPHY in writing prior to the event. CHRIS BARBER PHOTOGRAPHY recommends that THE CLIENT designate an "event guide" to point out important individuals to the photographer, whom THE CLIENT wishes to include in informal and/or candid photographs. 4. HOUSE RULES: The guidelines of the ceremony official and the reception site management limit CHRIS BARBER PHOTOGRAPHY. THE CLIENT agrees to accept the technical results of their imposition on the photographer. Negotiation with the officials for moderation of guidelines is THE CLIENT’S responsibility; CHRIS BARBER PHOTOGRAPHY will offer technical recommendations only. 6. COPYRIGHT LAW: The copyright of photographs remains with CHRIS BARBER PHOTOGRAPHY. CHRIS BARBER PHOTOGRAPHY grants THE CLIENT permission to make copies and prints of the images under the following conditions. The images taken by CHRIS BARBER PHOTOGRAPHY are for personal use by THE CLIENT and their friends and relatives. 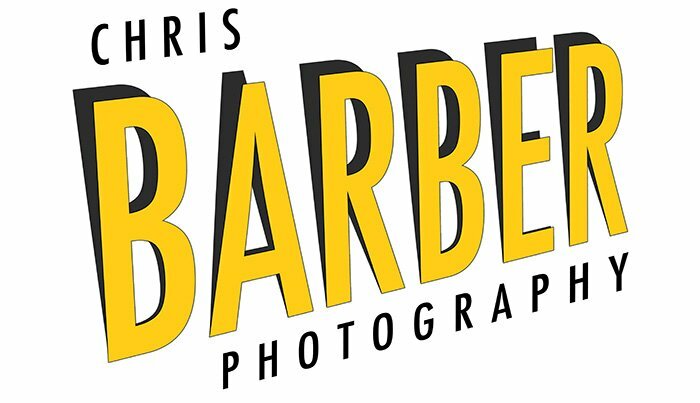 Sale, Re-edit, Publication or any Commercial use of the photographs is not allowed without prior written permission from CHRIS BARBER PHOTOGRAPHY. THE CLIENT must obtain written permission from, and compensate CHRIS BARBER PHOTOGRAPHY prior to an event where THE CLIENT, THE CLIENT’S friends or relatives publish or sell the photographs for profit. Associated wedding vendors must also obtain written permission before using any photographs taken by CHRIS BARBER PHOTOGRAPHY. 7. MODEL RELEASE: THE CLIENT hereby grants CHRIS BARBER PHOTOGRAPHY the irrevocable and unrestricted right to use and publish photographs of THE CLIENT or in which THE CLIENT may be included for editorial, trade, advertising or any other purpose and in any manner and/or medium considered standard by the wedding industry. Such mediums/purposes include, but are not limited to: advertising, internet promotion, photographic contests, public displays, photography books, wedding blogs, studio display, sample wedding albums, and any other use thought proper by CHRIS BARBER PHOTOGRAPHY and considered standard by the wedding industry. 8. FORCE MAJEURE: CHRIS BARBER PHOTOGRAPHY makes every effort to produce the highest quality photographs possible, including using professional grade equipment, professional grade backup equipment, and making multiple backup copies of images. However, in the unlikely event of total photographic failure, injury or sickness beyond CHRIS BARBER PHOTOGRAPHY’s control, liability shall be limited to a full refund of all monies paid, including the retainer. The limit of liability shall not exceed the contract price stated herein. The limit of liability for a partial loss of originals shall be a prorated amount of the exposures lost based on the percentage of total number of originals. Your statutory rights are not affected. 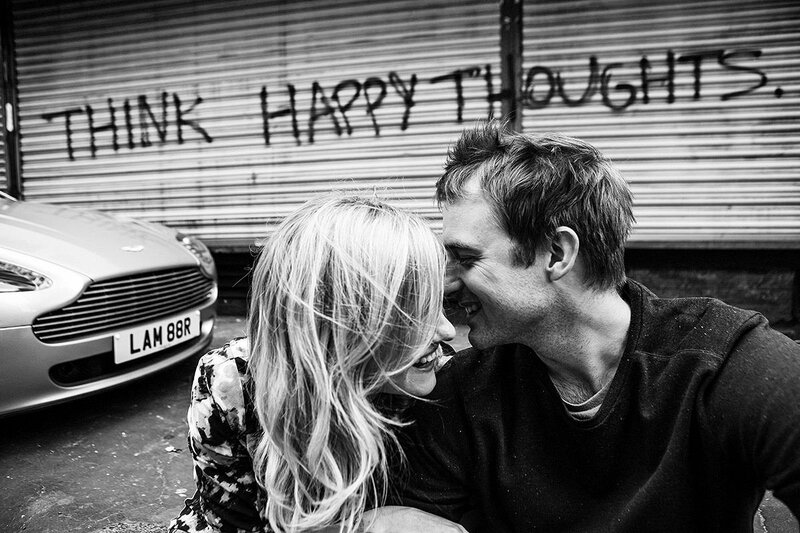 CHRIS BARBER PHOTOGRAPHY has full Public Liability, and Professional Indemnity Insurance. 9. PHOTOGRAPHERS CANCELLATION: In the unlikely event that CHRIS BARBER PHOTOGRAPHY has to cancel this contract for reasons beyond his control, (death, injury, sickness, or other circumstances beyond the control of the photographer etc.) a substitute photographer of high qualifications, similar skill, style, pricing, and product offerings may be sent to fulfill the obligations of the photographer herein contracted. If a substitute photographer is provided, THE CLIENT has the right to refuse to accept the substitute photographer and may instead terminate this agreement and receive a full refund of all monies paid. If you, THE CLIENT, cancel your contracted wedding photography services with CHRIS BARBER PHOTOGRAPHY, your deposit is refundable provided CHRIS BARBER PHOTOGRAPHY has not turned away any other weddings for your wedding date. If CHRIS BARBER PHOTOGRAPHY has forfeited income by denying service to another couple whose wedding date is the same as the clients, the deposit that THE CLIENT has paid will be non-refundable. Should the cancelled wedding turn out to be a postponement, then, subject to availability, all money paid may be applied to the new wedding. In this case, the total fees chargeable shall be the fee which applies at that time. In the event of CHRIS BARBER PHOTOGRAPHY taking another wedding booking for your cancelled or postponed date a full unconditional refund of your deposit and monies paid shall be made. 11. COMPLETION SCHEDULE: Digital processing takes approximately 2 weeks for engagement sessions and 4-6 weeks for weddings. When CHRIS BARBER PHOTOGRAPHY is finished processing the client’s photos, they will be uploaded to an online gallery and/or delivered to THE CLIENT according to the specifics of THE CLIENT’s purchased photography package. 12. STORAGE: CHRIS BARBER PHOTOGRAPHY agrees to store and backup the images delivered to THE CLIENT for up to 12 months after the wedding date. CHRIS BARBER PHOTOGRAPHY is not responsible for backup or storage of THE CLIENT’S images after this time. Additional backup and storage options are available upon request. 13. AMENDMENTS: This contract has been freely negotiated and shall be recognized as the entirety of the agreement. Only those changes or modifications specifically placed in writing, attached, dated and signed by the client and CHRIS BARBER PHOTOGRAPHY at the time of acceptance of this contract shall be recognized as amendments to this contract. 15. PRIVACY: CHRIS BARBER PHOTOGRAPHY will store your name and wedding details on a private internal database. These details will not be made available to companies or individuals outside of CHRIS BARBER PHOTOGRAPHY.